The Chinese handset maker announced that the MIUI 6 is currently in beta testing. 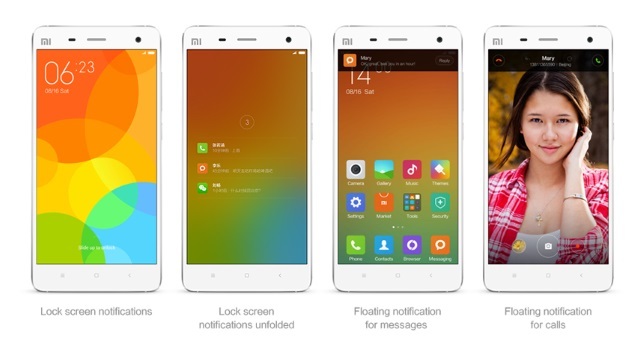 The Xiaomi will begin testing MIUI 6 on the Mi 2, Mi 2S, Mi 2A, Redmi 1S, and Redmi Note by the end of this year, and updates for these devices can be expected to be rolled-out by next year. Some of highlight features that the MIUI 6 brings is a brand new design. In addition to the iOS-styled flat icons and lockscreen notification on the MIUI 6, some of the app icons on the new MIUI appear to come straight from iOS 7 or iOS 8, like the calendar, compass, timer, and calculator. New power-saving features to adjust the standby time of the device.